Donate now to help The Hatchet continue to produce award-winning student journalism and train the next generation of reporters. 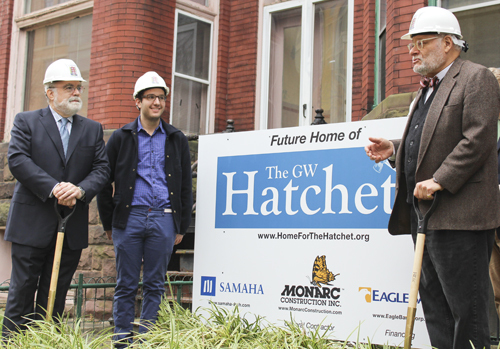 The Hatchet is a 501(c)(3) charitable organization. All donations are tax deductible as allowed by law. The GW Hatchet has partnered with Network for Good to securely process your online credit card payment via Network for Good (tax ID 68-0480736). This transaction will appear on your credit card statement as "Network for Good." This transaction is subject to Network for Good’s Privacy, Security & Disclosure Statement and the Charitable Solicitation Disclosure.